Bear market or seats empty towards a crypto extinction event? It’s possible the hope of decentralization and dApps rests on Ethereum. 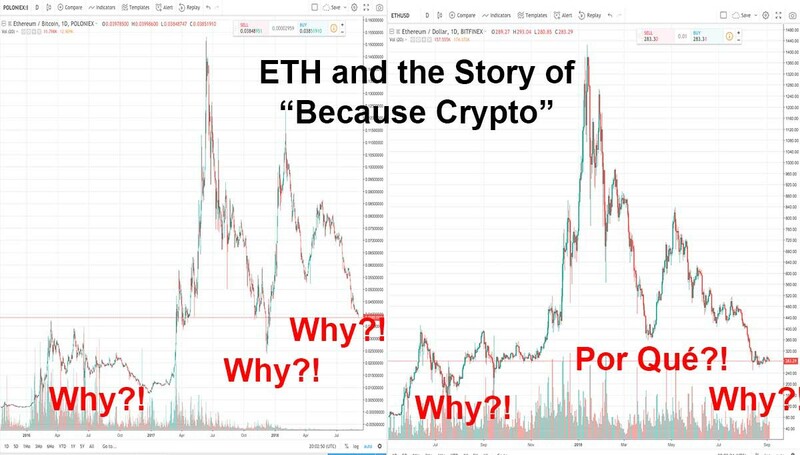 It’s doubtful others could repeat what Ethereum has done. That being said, the price of ETH is down today to $84.66. Ethereum is already the most famous cryptocurrency after Bitcoin and the third largest in total value. But does it matter anymore? The central topic at Devcon is “Ethereum 2.0,” a radical upgrade that would finally allow the network to realize its true power. But is it too late? Does it matter that the copy cats grow? Is Ethereum dying and pegged with Bitcoin like martyrdom for technological oblivion as we enter a tech dystopia dominated by the monster that is the Centralization of Silicon Valley and then Chinese companies? You can have all the idealism in the world, but what if your product simply doesn’t scale, won’t be allowed to scale by the system? Surely Ethereum has a handful of idealistic researchers, developers, and administrators in charge of maintaining its software — who know that the time is nearly up to prove that public blockchains matter at all (under a long list of technical challenges and possibly irremovable limitations). Maybe we were too soon, maybe we were dumb to hype up a nascent technology where sentiment ran away from reality. I’m ready to admit that. The idealism of youth can amount to being a scam, it’s happened to us all once. As per etherscan, as many as 353 million transactions have been processed by the network to date. That’s not a mind bending amount, all things considered. Since June 1, the average number of daily transactions has been roughly 610,000 [source]. That’s not exactly impressive, to be honest. 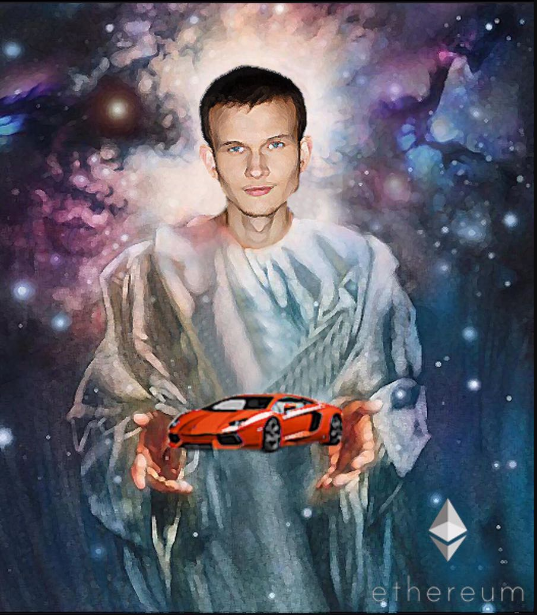 In the winners and the losers of crypto, we always thought Ethereum would be the one to reincarnate some leadership into crypto after Bitcoin’s shine dimmed. However crypto is tied at the hip to Bitcoin’s price, a huge failure of cryptoeconomics to differentiate itself from other markets. Market forces still rule — and it shows the depravity of the current ‘system’. Innovation is stunted by the centralization of the system itself. Crackdowns by regulators and a growing understanding of how far most blockchain applications are from being ready for prime time have not just scared many cryptocurrency investors away, it’s screwed the freedom that crypto could have brought us and instead replaced it with fraud, failures and a technology that doesn’t scale very well either technically or for actual consumers. There’s a bottom of sentiment on blockchain’s readiness to disrupt, period. Ethereum as a ragtag community needs to crack a problem on human governance but how can we expect a bunch of bohemian engineers to do it? Failures of leadership are rife in nearly every industry and system of human society in 2018. We see it in corrupt politicians, greedy tech executives, unethical engineers and, of course, crypto profiteers who especially abused the ICO system. EOS is a perfect example of this. Ethereum might be more attractive to developers, but it may not have as bright a future as blockchain-as-a-service in the Cloud does, led by the likes of Alibaba and Amazon. The market necessitates centralized blockchains before we are ever near decentralization taking place. Crypto might have to die for its equivalent when it is ready to be born. It might be painful to accept, but Ethereum might have to die for public blockchains to evolve. Ethereum won’t be able to organize a scattered global network of contributors and stakeholders without sacrificing “decentralization”. It’s just not realistic. It would be better if Amazon acquired it and funded it. You can’t reinvent the wheel of how businesses and organizations can or should work. You need to strike a balance with reality. Bitcoin has been so spoiled by infighting and gridlock and a few wallets owning too much of it, it has been forever spoiled. Ethereum’s demise could occur in any number of ways. First and foremost by failing to scale, or even failing to scale fast enough before something better comes along. These kids did not think long-term enough, they couldn’t foresee the challenges of the future well enough. Decentralization was a spontaneous whim, but the world and the tech wasn’t/isn’t ready. You can peddle crypto kitties, but the world disrupts itself. Ethereum is no longer seen as a leader of the model of public blockchains. There is no world computer, or if there is it has more to do with the Cloud and the future of artificial intelligence — the major macro trends of the 2020s. Blockchain is, at best, a minor trend in technology compared to those two. Let’s not forget, crypto exists in an age of exponential technologies. If it doesn’t work, it’s not going to ruin the world, just seriously stunt the value proposition of decentralization and the idea that blockchains should be distributed in a decentralized manner. In 2018, the internet is a weapon. IP is stolen each month, worth more than the total crypto market cap combined. We live in uncertain times, and public blockchains like ETH are the most uncertain of long-term bets. The sad reality is that capitalism doesn't want to change, never mind democracy’s crisis of leadership. The inertia of the world underestimates crypto and crypto overestimates itself. For Ethereum’s most ardent dreamers and believers, crypto is like a religion. In its dogma is contained the promise of an entirely new kind of democratic society in which it is much harder to concentrate wealth and power, hide corruption, and exert shady, behind-the-scenes influence. Yet in the process crypto has become all the things it said it could erase from the corrupt and materialistic corporate world. Crypto because a fraud with our money. And for that it deserves some punishment. Some form of banishment, these rock-bottom prices, they are justified. A year ago — practically centuries in crypto time — investors were pouring billions of dollars into promising projects building dApps. Ethereum felt like the angel of blockchain innovation, but how quickly things do change. America shunned them, the banks called them a ponzi scheme, and the rest is history. The SEC is now targeting the shadiest ICOs and projects, and a raw pessimism has gripped the community, many of whom were nothing more than profiteers to begin with. Crypto, my dear, where to now? Ethereum may have gotten too popular too fast and while tethered to ICOs they lost their way as a solution that seemed to be Bitcoin's heir apparent. Even the fad of Crypto kitties pointed to something inevitable — they slowed Ethereum to a halt and it exposed the truth: Ethereum’s technology is immature, incapable of handling the kinds of workloads that big dApps would demand. The dire realization that Ethereum (2.0) Serenity might take (years) too long was daunting. 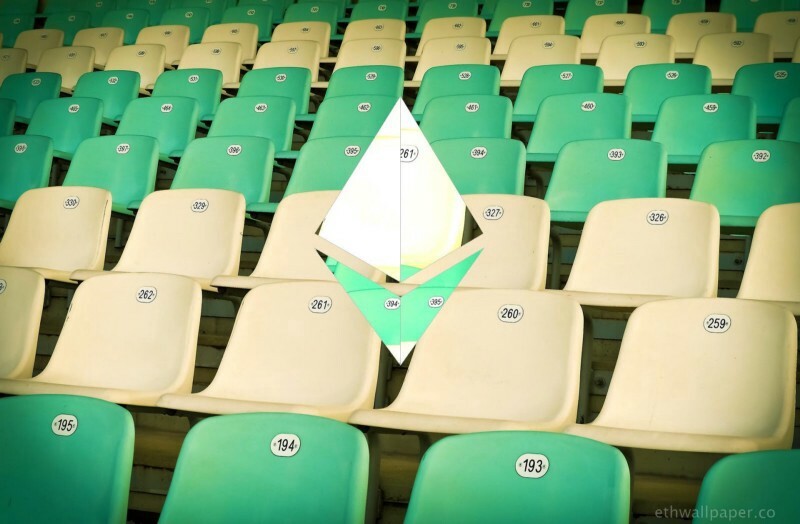 By the time Ethereum 2.0 might be ready, all of crypto might be dead. Vitalik Buterin’s white paper of 2013 might be forgotten. Bitcoin’s Satoshi Nakamoto must be shaking its head. How did we come so far to suffer such a fate? Ethereum might die, along with all other cryptos. It could happen, we have to accept that possibility. What would come after it? The youthful immaturity of its founders, is probably part of the problem. Buterin, Ethereum’s enigmatic young creator, uses an only slightly less pejorative comparison, calling it “a smartphone from 1999 that can play Snake.” Wtf , I have no idea what he was talking about. Talk of “world computers” and decentralization bores me, after realizing what projects such as EOS and Dfinity truly stand for. Were we misled by profiteers? Engineers of a fake new internet that was destined to fail? Scores of investors and entrepreneurs had overestimated what Ethereum’s blockchain can do — will become — or that crypto was disruptive at all. 2019 might be the last year of the altcoin. Fiasco after crypto fraud, we’ve lost a bit of the soul of what crypto was in the first place. The last temple and template might be Ethereum, but Ethereum isn’t exactly a paradise. We might be witnessing the Fall of Ethereum, and I say this with no specific bias one way or the other (I don’t own any ETH). There’s something cynical and ridiculous in what blockchain and crypto has become in 2019. Just as Bitcoin HODLers felt somewhat fanatic in 2018. Where is the product, guys? Show me the shards, bro. Decentralized computing platforms are nice in theory, they might even have built incredible communities, but without the technology to scale and sustain them, what is the point? We re-invented what decentralization was, only to find the corrupt world hated the idea so much they helped us kill it, like a threat to their hierarchies, banks, false authorities and corrupt world order. If Bitcoin and Ethereum dies, I’m not sure anything else will take its place, for maybe decades. There may realistically be no such thing as freedom from online censorship, surveillance, and other forms of centralized power. This is because we are entering a period of history characterized by centralized technology corporations, not exiting it. 2018 is not 2063, bro, the world has no intention of becoming more decentralized or letting a bunch of 20-something-year-olds hold the keys to the portal into the future. 3,000 developers and entrepreneurs, largely men in their 20s and 30s, cannot save the world. Ethereum doesn’t scale, and it won’t be able to scale in 2019 any better than in 2018. That’s a fact, let’s kill the fiction and hype from crypto. Ethereum might not be the one.